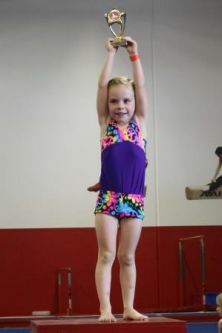 The Eaglet Olympics is designed for our young kindergym and red level 1 students, ages 3-5. The children will performe a routine on each apparatus and all gymnasts will receive a trophy at the awards ceremony following the event. This is a great opportunity for family members to watch our young talented kids show off their skills! Call 972-712-4644 to reserve your spot!